From oral history and film to portrait photography, ‘Twilight People’ is a collection on transgender Jews, Muslims and Christians. In a first for the United Kingdom, an interfaith project showcasing the ‘hidden’ experiences of transgender people was launched this week. “Twilight People: Stories of Gender and Faith Beyond the Binary” is a collection of photos, stories and films documenting the experiences of over forty transgender British people, mainly from the Abrahamic faiths. Hosted by Liberal Judaism, a progressive Jewish denomination, Twiglight People’s collated materials will be available to the public via free channels including a dedicated website, interactive features, an archive collection and a touring exhibition. 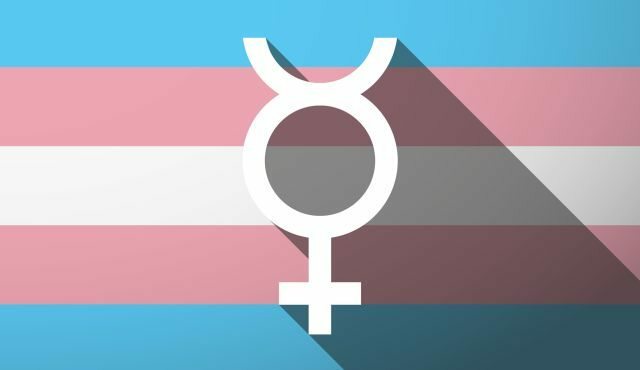 Launched on the heels of Britain’s Transgender Awareness Month, the project is dedicated to exploring “the narratives around ‘body and ritual’, documenting the interconnection between faith and gender journeys,” Liberal Judaism said in a press release. “Gender-nonconforming people have always existed in every culture and community, including religious communities, yet little is known about the people of faith who don’t fit neatly into the binary categories of male and female,” the organization added. “Liberal Judaism has always seen part of its mission to give voice to the unheard. Our hosting of the Twilight People project is yet a further example,” said Liberal Judaism chief executive Rabbi Danny Rich. Twilight People’s Jewish project manager, Surat Knan, has already made history through a groundbreaking archive and exhibition on LGBT Jews. The initiative, called “Rainbow Jews,” explores the experiences of this double-minority group through a trove of oral testimonies, photographs and other sources that stretch back to Nazi Germany.